Physical therapy exercises are movement strategies that help your body improve its function. They are considered an active element of every rehab program. Health professionals also recommend therapeutic exercises to patients under passive treatments such as mobilization, modalities, electronic or ultrasound simulations. Our Armor physical therapists use a wide range of equipment for your therapy exercises. These include foam rollers, therapy balls, resistance bands, dumbbells, free weights, treadmills, bikes, wobble boards, towels, straps and more. The choice of equipment for your therapy exercises depends on the goals of each exercise. While exercises are typically done at our clinics, we also prescribe a home exercise program that helps you improve your condition. The best way to ensure a physical therapy program is effective starts with choosing exercises that meet your needs. Our team of experts can prescribe the correct therapeutic exercises for your condition. Naturally, you might experience a little soreness when doing exercises you aren’t used to. However, this should only last a few days and after that, you should feel a significant improvement in your condition. Our Armor physical therapists can help you get started with physical therapy easily. If you have an illness that affects your mobility, notify us and we will recommend exercises to improve the condition. Prioritizing physical therapy before surgery or other treatment options is always a great idea. We offer a variety of physical therapy exercises in Plainwell, Michigan that are safe and value-packed for various conditions. We have a wealth of knowledge on the best therapy exercise techniques. Think of us as your health partner, committed to helping you decrease your pain and improve your mobility through physical therapy. 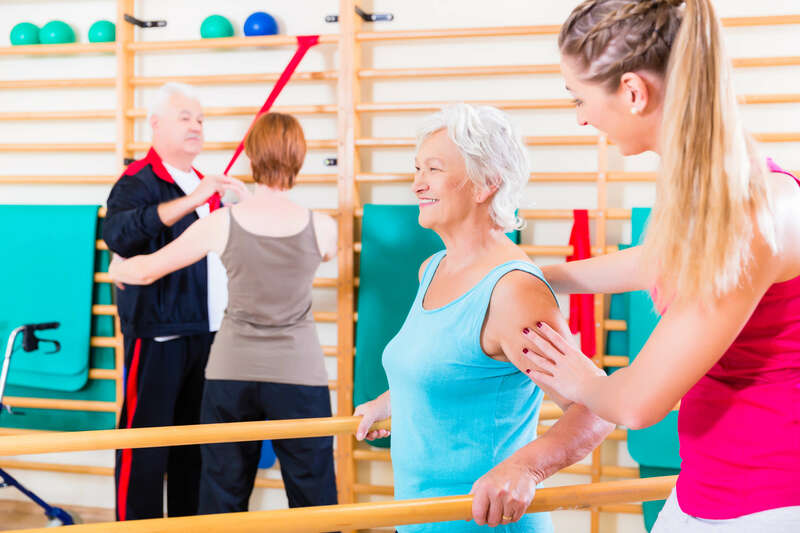 Our physical therapy approach involves evaluating your movement, body type, physical capabilities and activity level before recommending therapeutic exercises. For certain health conditions, our well-trained therapists will customize an exercise program based on your diagnoses. We prescribe specific exercises, pacing and frequency of exercise depending on individual needs. We will also review your response to the exercise and adjust the program accordingly. Contact us today to learn more about physical therapy exercise in Plainwell or to schedule an initial appointment.